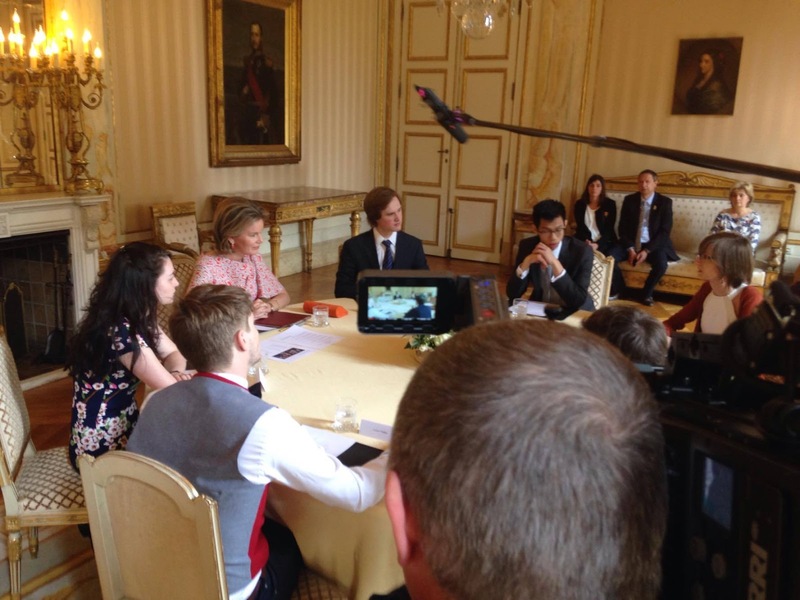 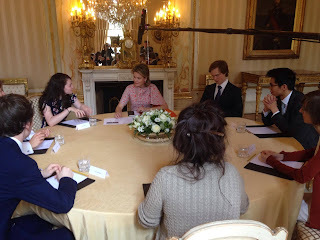 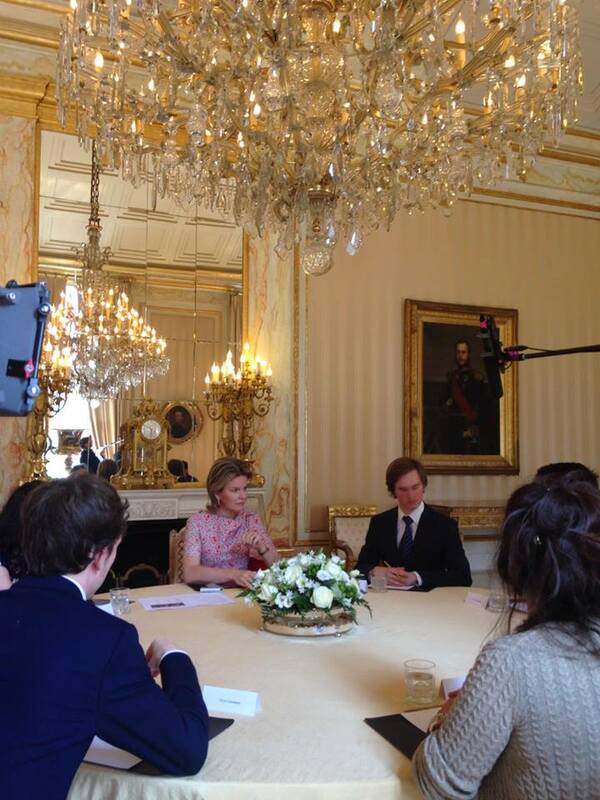 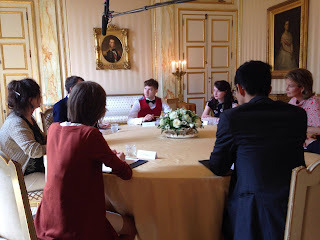 In the morning queen Mathilde had a meeting with "Dezeslessix", six young classical musicians who follow and report about the Queen Elisabeth Music Competition for a young audience. 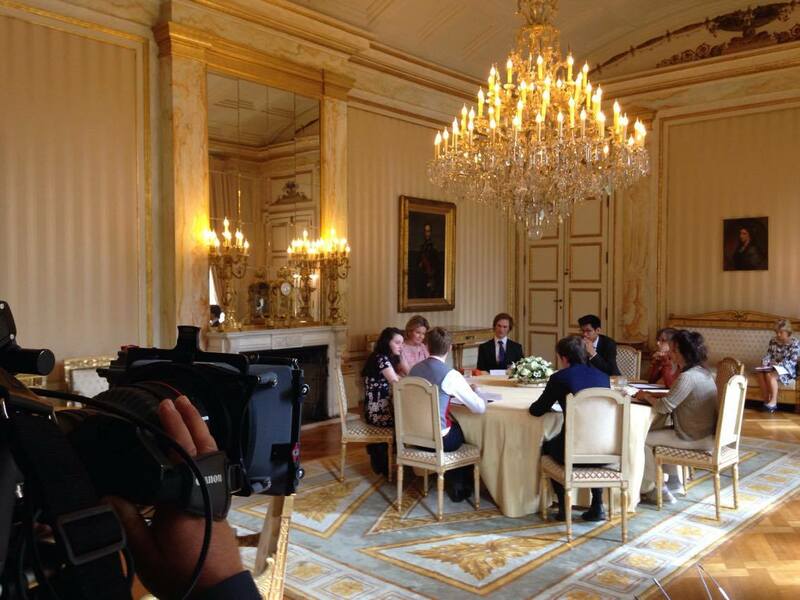 The meeting took place at the royal palace in Brussels. 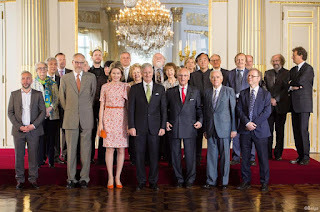 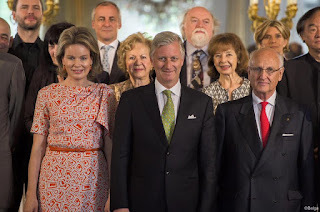 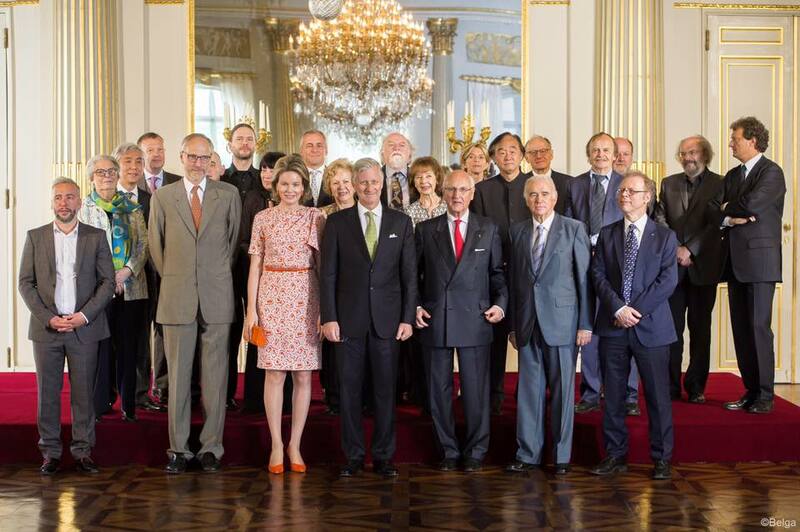 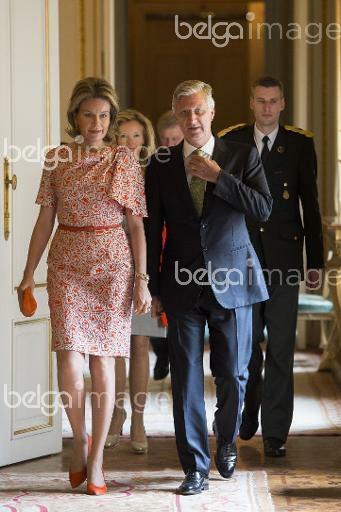 Afterwards queen Mathilde and king Philippe hosted a lunch for the jury members of the Queen Elisabeth Competition at the royal palace in Brussels.